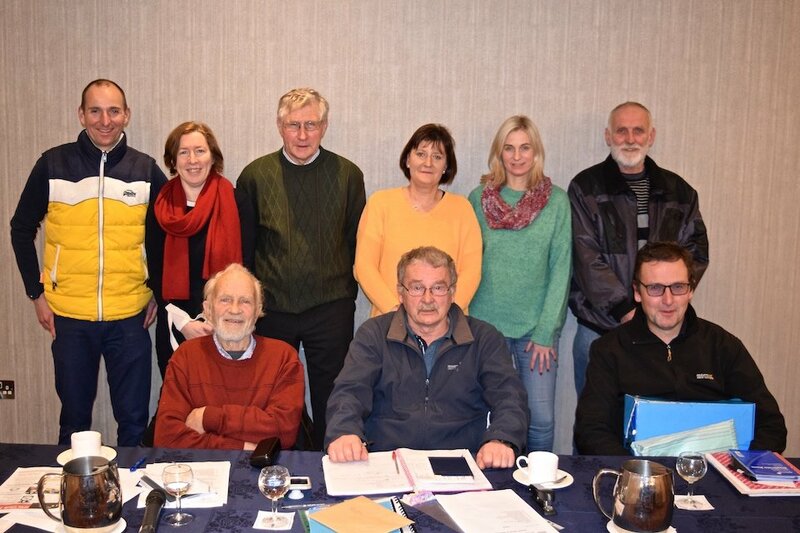 Welcome to the official Athletics Wexford web site where you will find pretty much everything you need to know about athletics in Wexford. This includes information on the county’s clubs, upcoming fixtures, results and general happenings on the Wexford athletics’ scene. The current year is shaping up to be every bit as successful, from a Wexford perspective, as the one just gone (read the 2018 end-of-year report). We have had some great performances indoors, including in Combined Events. The county had two winners at the National Senior Indoor T&F, Michael Bowler winning the Pole Vault and Leon Reid the 200m. We also had good success at the National Junior and U23 Indoors and the National Masters Indoors. Meanwhile our younger athletes excelled at the Leinster Juvenile Indoors and will be hoping to make an impact at the Nationals. Saidhbhe Byrne (Enniscorthy) picked up a bronze for the second year in a row at the Scottish Indoor Pentathlon Championships. Slaney Olympic’s Ger Forde placed 6th at the National Intermediate Cross Country and 11th in the National 10km. While at the recent All-Ireland Schools Cross Country Myles Hewlett (Junior), Róisín O’Reilly (Inter) and Claragh Keane (Inter) all medalled. And all three went on to compete on the Irish team at the SIABs in Santry and all three won team bronze medals. For results of Leinster and National Championship events go to Athletics Ireland page or Athletics Leinster page. Also keep an eye on www.myrunresults.com. Find details of upcoming events on our Fixtures page. Read about the performances of Wexford athletes and general goings-on at the News page. 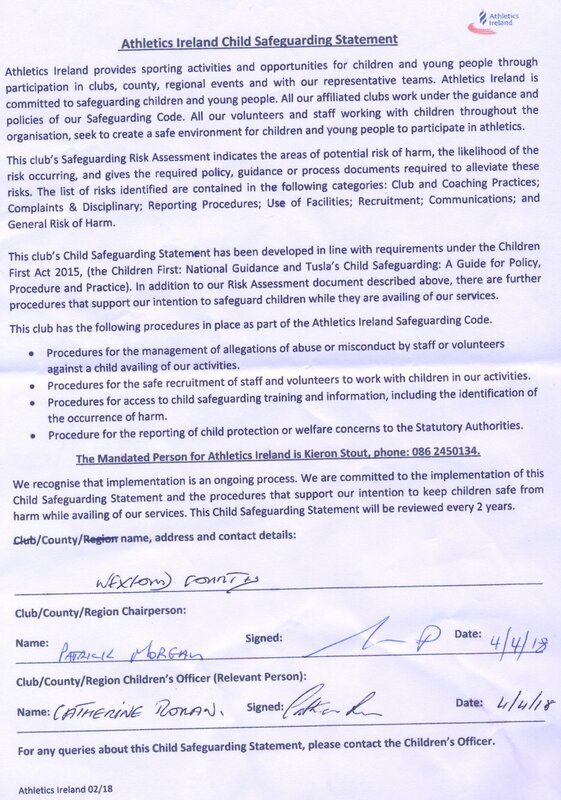 Athletics Wexford has adopted the Athletics Ireland Child Safeguarding Statement. Booklet with competition details, regs, etc. We take the development and promotion of athletics very seriously in these parts. That’s why we have one of the most dynamic athletics communities in the country. We also pay attention to the big health and social benefits which athletics brings. “Mens sana in corpore sano” as the Romans say! And the good news is that you are never to old, or too young, to start. If you are new to athletics you will find details of the club nearest to you under ‘Clubs’. Running really is good for you! We spotted an article entitled 10 Mental Health Benefits of Running on Competitor Running (online).